Humans are creatures of habit, whether we like to admit it or not. What we might not realize is that some of our unhealthy habits jeopardize important relationships. In romantic relationships in particular, we want to offer the best version of ourselves to our partner. Yet some habits may be poisoning that relationship and hurting the one we love. A romantic relationship is not just about chocolates and flowers. It is about good communication and building a partnership based on honesty, trust, and understanding. There is no “guidebook” with fundamentals on how to create a healthy relationship. Part of the problem is that some people objectify each other and the relationship, which is unhealthy and can ruin a good partnership. Instead of considering our partner as someone with whom we can share mutual emotional support, we start to see them as an asset. While there are a number of psychological studies and general principles that provide insight on how to have a happy and loving relationship, many people struggle to break unhealthy relationship habits. Trying to improve your partner – When you enter into a relationship, remember that there is no such thing as a perfect partner. Everyone has a unique set of innate flaws, and criticizing your partner will simply reduce their self-esteem and confidence. Love is not enough to transform someone’s basic nature and temperament. Often, when one partner fails to change (usually to suit the other), it can lead to dissatisfaction and frustration, and can erode the love and positive feelings in your relationship. Acceptance is one of the keys to a strong relationship. Constant public displays of affection – People have different comfort levels when it comes to public displays of affection (known as PDA). While it is natural for couples who are in love to be affectionate with each other, did you know that constant PDA could reveal a lot about your relationship? 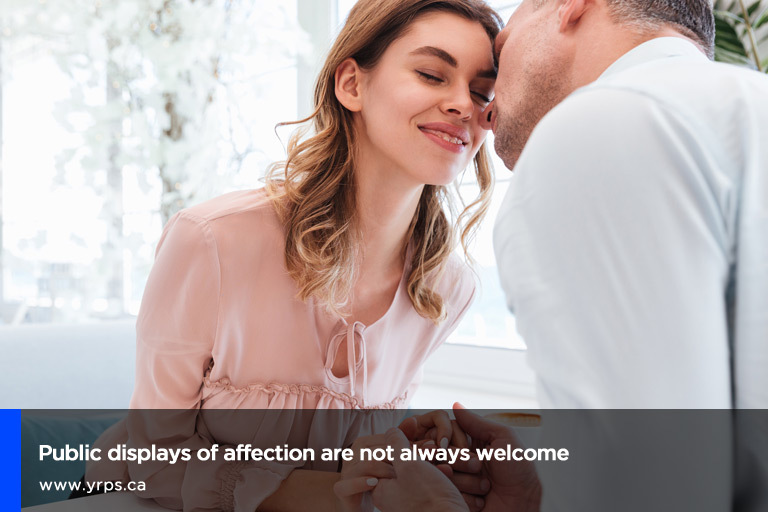 Although some couples are comfortable going beyond holding hands in public, overt affection can sometimes indicate insecurity and a lack of real communication in the relationship. Fighting in times of stress – Whether you’re stressed because you’ve had a bad day or upset because of a lack of intimacy in your relationship, it is never a good excuse to fight with your partner. Blaming a full-blown argument on stress can have a huge impact on your partner’s perception of you. 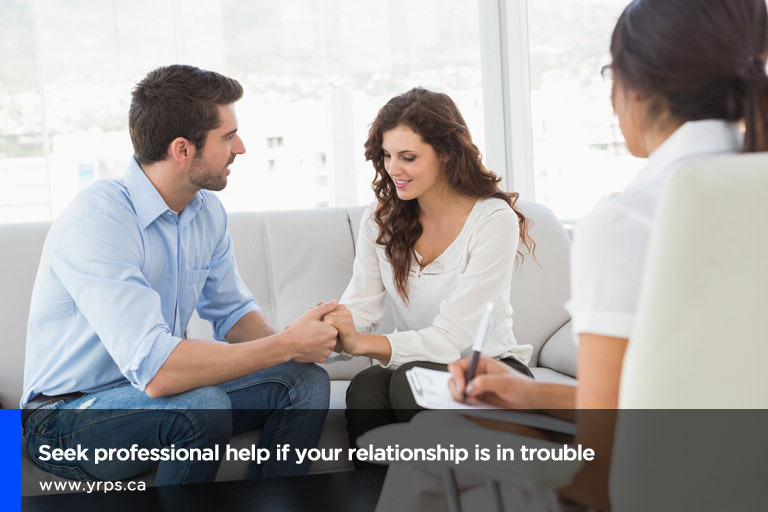 If you are having a difficult day and want to be alone, or you have an issue with the relationship, tell your partner. Communication is the key to understanding each other. The more effectively you can deal with your own stress, the less likely your anger will be taken out on your partner. 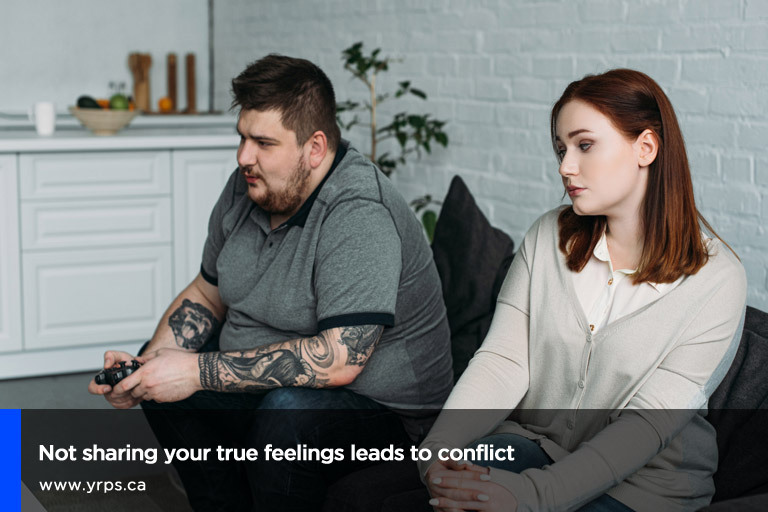 Avoiding conflicts – Disagreements and arguments are bound to happen in any relationship and are a normal part of life. Avoiding conflict with a partner means you aren’t expressing your true feelings. Share your thoughts and opinions, even if you think your partner won’t agree with you. Healthy arguments help strengthen a relationship by allowing couples to successfully address issues together and resolve problems. Dropping Hints – Instead of stating your desires or explaining what is bothering you, expecting your partner to figure out what is on your mind often results in frustration and petty arguments. Dropping hints indicates that you are not comfortable communicating openly with your partner. Being frank and honest means saying both positive and potentially negative things to each other. Being melodramatic – Melodramatic moments are best left on the stage or screen. 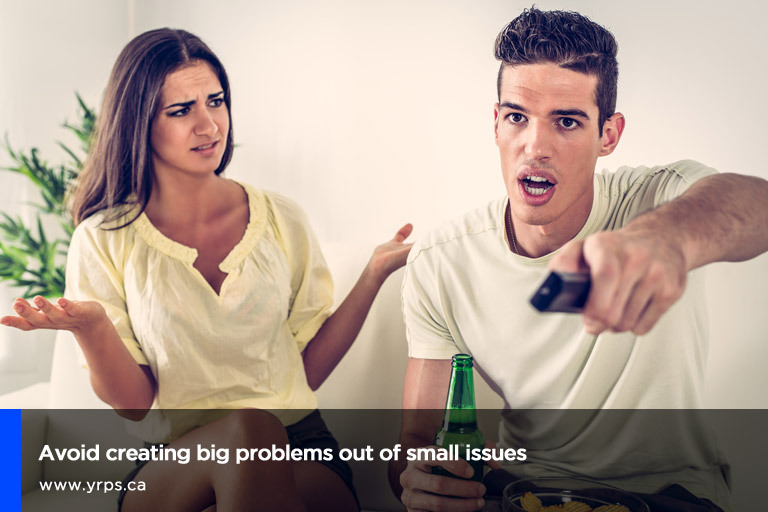 If you constantly turn minor issues into big ones, it can make your partner lose their patience. There is nothing wrong with expressing your feelings (even loudly, if it helps you relieve stress), but repeatedly complaining about your life can become annoying over time. A relationship is a partnership, and should not focus only on one person and their feelings. Keeping a scorecard – Rehashing or reminding each other of past mistakes is another unhealthy habit many couples have. Bringing up the past will eventually lead to a battle of who made more mistakes in the relationship, who owes the other person more, and on and on. Relationship scorecards create guilt and bad feelings, so leave the past alone. Spying – Trust is the foundation of a healthy relationship. In this digital age, it is tempting to snoop on your partner’s phone or monitor their social media activities. 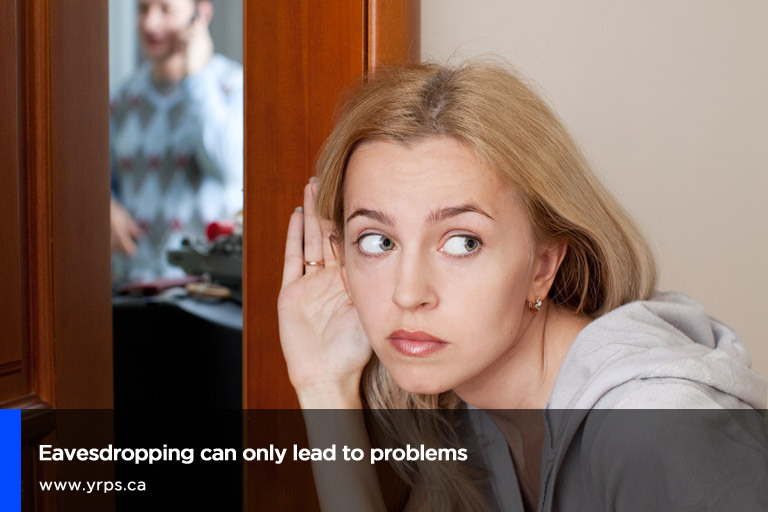 Spying tends to happen if one partner suspects the other of cheating, and is an indicator that your relationship is in trouble. Spying often becomes a habit and creates feelings of insecurity and paranoia. In some cases, spying is actually illegal. Think carefully before you snoop. Constantly comparing – No relationship is perfect, and comparing your relationship to others can only create feelings of inferiority and uncertainty. Many relationships end because of unrealistic expectations (by either partner) or constant comparisons of past lovers. Prioritizing your partner – Making your partner your ultimate priority can create an imbalance in your life. Giving them so much power over you and your feelings, or sacrificing your own needs can result in depression, especially if the relationship were to end. A healthy and stable partnership means giving equal value to both people. Sharing everything on social media – Your relationship is part of your personal, private life. When you are truly happy with your significant other, there is no need to share every minute detail with the world. While it is one thing to be proud of your relationship, constantly posting pictures or bragging about your love life on social media can imply an underlying feeling of insecurity. A constant, almost desperate need to convince the world of your love may actually signal a less than happy relationship. Relationships can be challenging and complicated, and unhealthy habits are often hard to break. While no one wants to be involved in a toxic relationship, couples can experience a rough patch from time to time. A strong bond requires understanding, respect, communication, and good habits from the people involved. If you think you need help changing some behaviours, speak with a psychologist to help you create a healthy and stable relationship with your loved one. (416) 602-3230 to book an appointment. 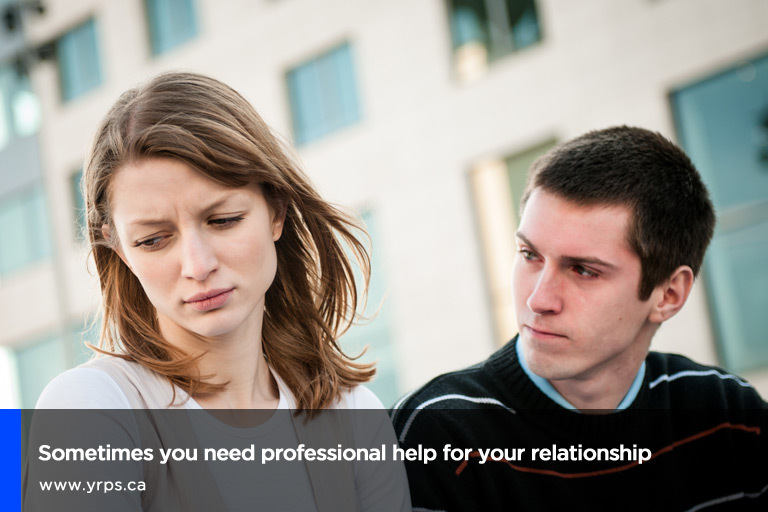 Our professional counsellors can help you build a healthier relationship by exploring concerns and developing strategies to address and resolve issues. We provide our clients with comprehensive, compassionate, and confidential psychological assessments in a neutral, supportive environment.